Hi everyone! 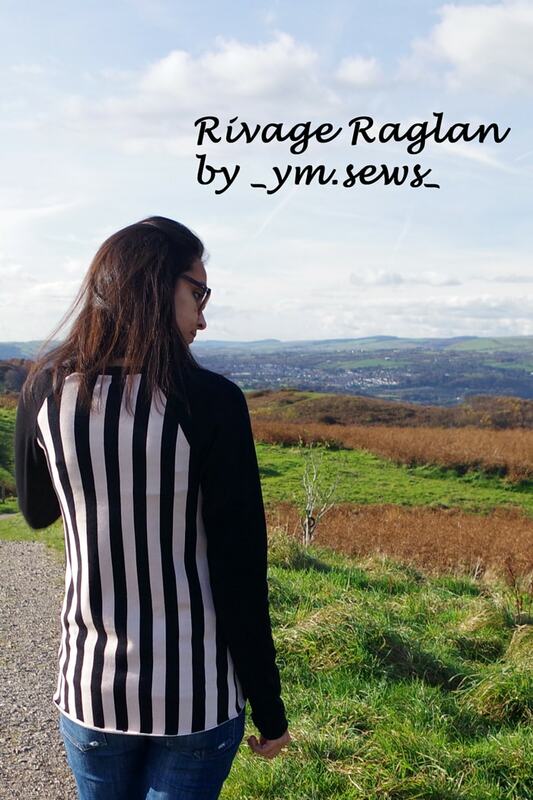 Yasmeen here from _ym.sews_ sharing my Rivage Raglan. For my BSP post this month I chose the Rivage Raglan pattern. I have never sewn a raglan pattern before (shock and horror, everyone seems to be sewing them!) which is why I thought I would give the Rivage a go! I have to say I’m sold of the raglan look, plus it’s really easy to sew the sleeves in as they are sewn in flat, so no fiddly sleeves to set in. Win win! Sizing wise, I cut according to my body measurements and it came out fitting pretty perfectly. If I wanted a more oversized look I would size one or even 2 sizes up (I’m envisioning a woolly oversized Rivage). The instructions as always for BSP were excellent and I managed to sew this entirely on my overlocker. I left the hem and sleeve bands unhemmed as the fabric doesn’t unravel. 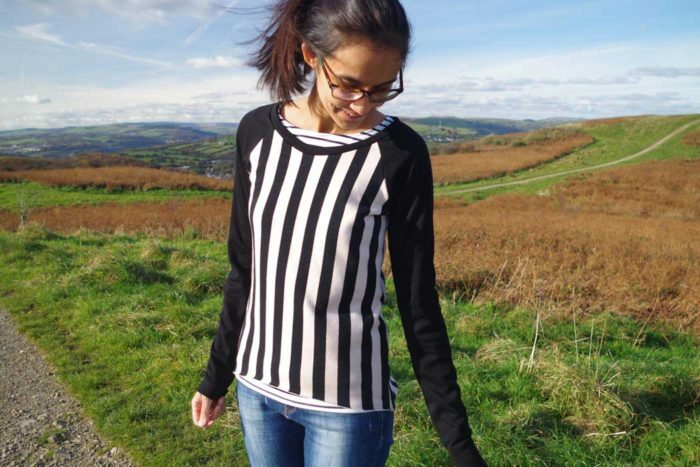 I turned the sleeves back a few times after sewing to create faux cuffs (and had already lengthened the sleeves significantly as I do love extra long sleeves! ).